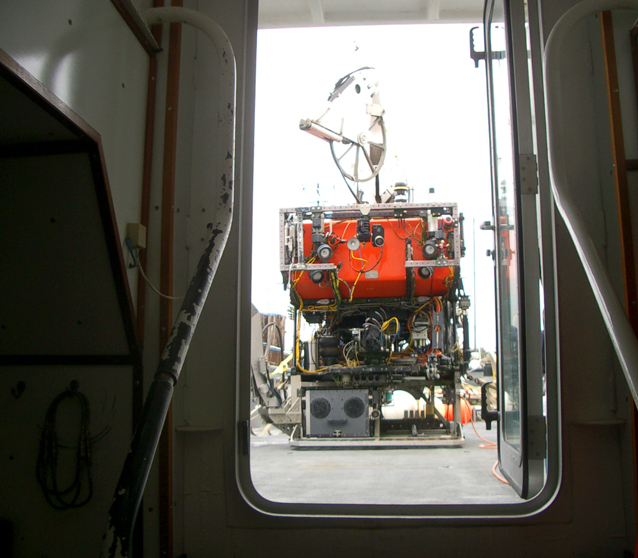 MBARI is engaged in studying the ocean by creating a home for collaborations between scientists and engineers, and the results are pretty remarkable. Have a listen. Special thanks to George Matsumoto and Kim Fulton-Bennett. Music from Sigur Rós’ Ágætis byrjun. 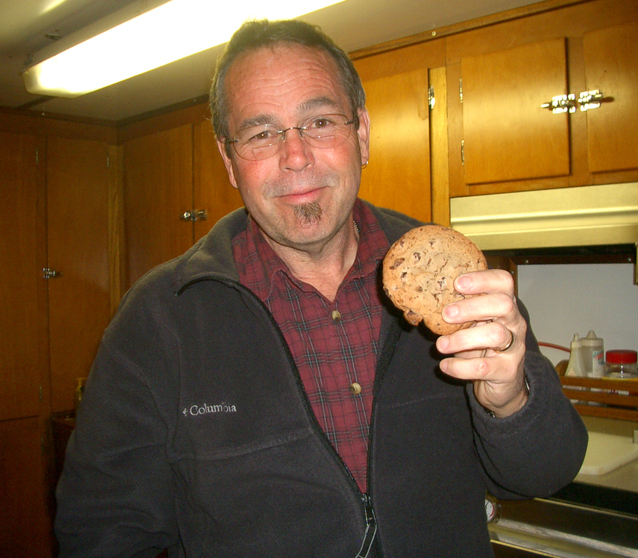 An abundant culinary treasure in the Port Lobos galley. The Ventana seen from the cabin of the Point Lobos vessel. 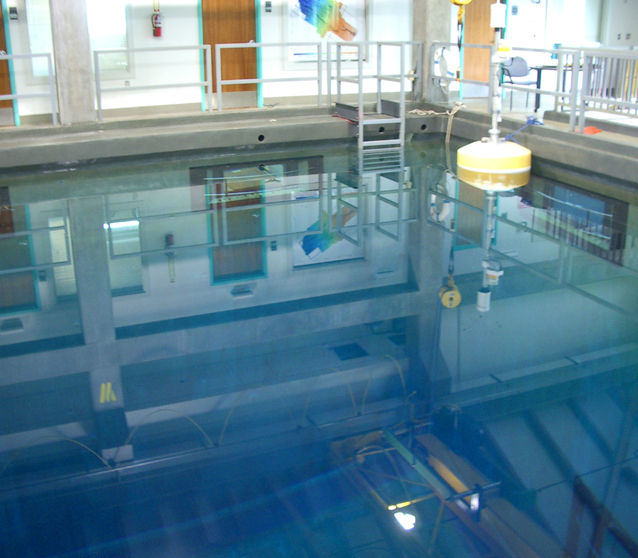 A crane lowers instruments and rovers into the 10 meter deep saltwater pool to test their functionality before they go to sea. 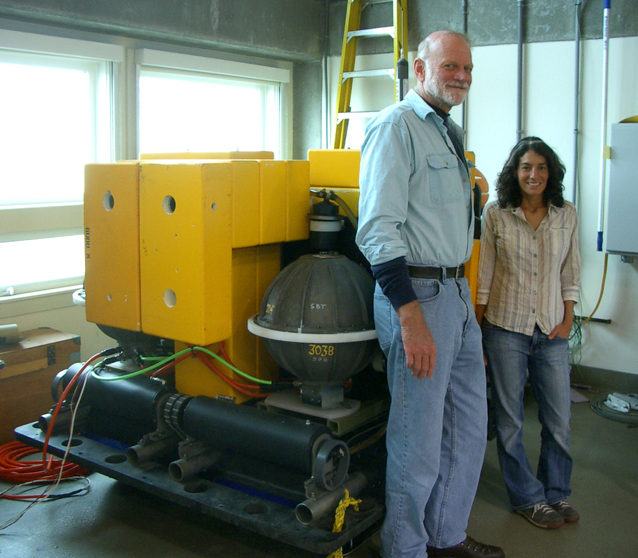 Ken Smith and Alana Sherman stand beside a rover used to study the ecosystems of the seafloor. 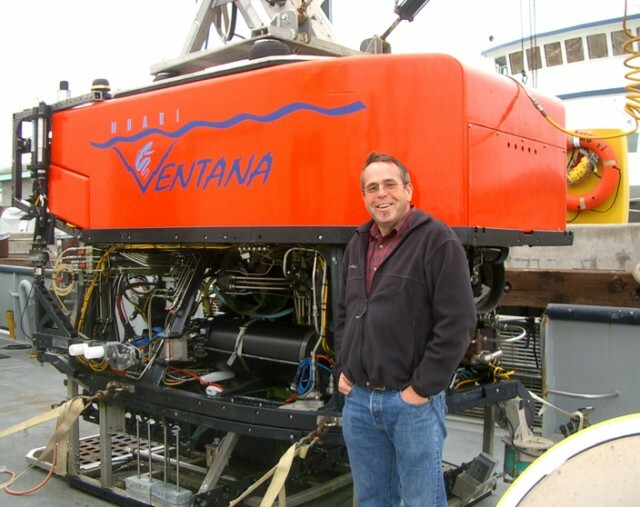 Craig Dawe has a lot of experience piloting Ventana, an ROV (remotely operated vehicle) used to repair science equipment and gather samples at the bottom of the Monterey Canyon. Are these rovers able to determine an average population in the benthos? 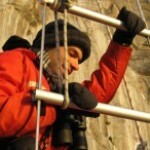 How much oxygen does a really small creature like bacteria consume? What kinds of calculations do you use with these oxygen readings to determine benthic population … If you are determining population how can you do that with oxygen readings when organisms of different size use different amounts of oxygen? Sorry for the delay responding but we were at sea. To answer your question we are not able to separate out populations of organisms but treat the enclosed sediment and the organisms as one community. So the oxygen consumption is the respiration for all the enclosed organisms from bacteria to animals such as polychaete worms and crustaceans.